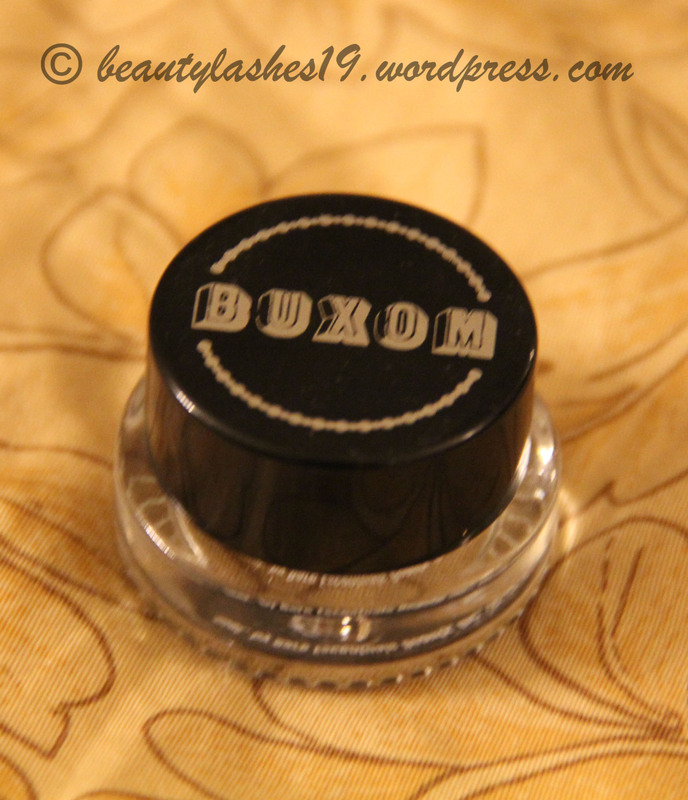 The next in the cream eye shadow series in the one from Buxom.. These have the most adorable names based off of dog breeds such a Black Lab, Saint Bernard, Poodle, etc… and that was purely the reason I was drawn to these.. I have a labrador at home and just couldn’t take my eyes off the color ‘Black lab’.. 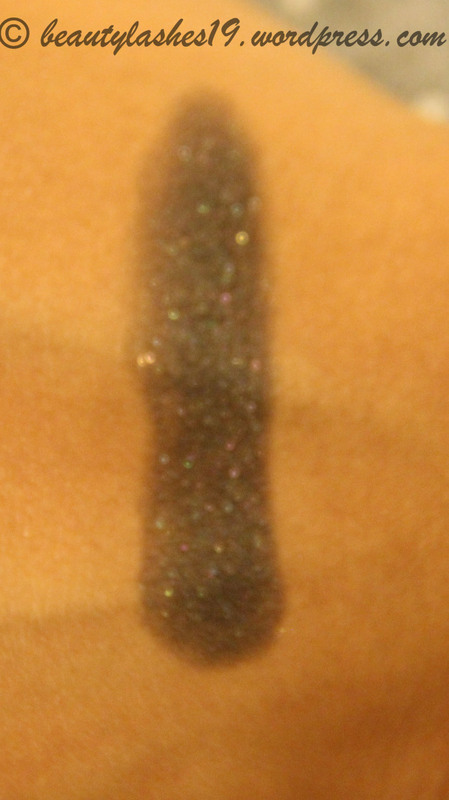 The color is a gorgeous black base with multi-colored glitter flecks.. 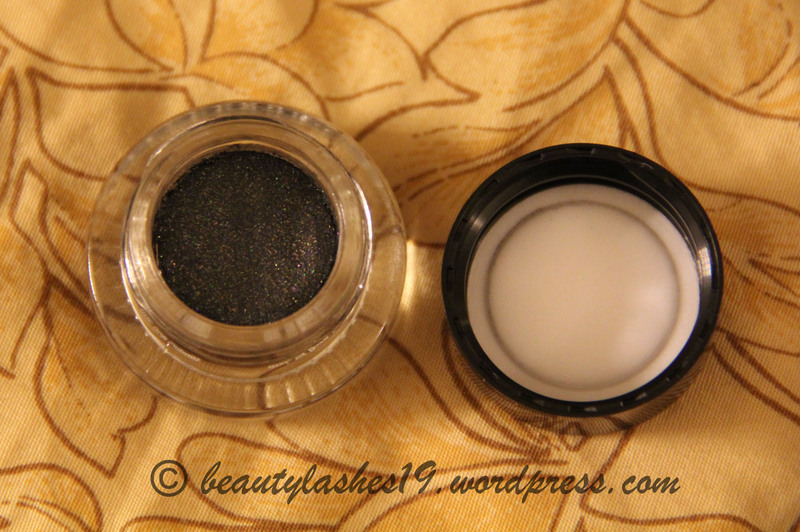 The products are packaged in a glass jar with a black plastic lid.. and retail for $17.00 USD..
Swatches of Black lab cream eye shadow.. Notice the gorgeous multi color glitter in the black background.. The texture is quite mousse-like and quite light.. not creamy.. It is paraben free and contains Vitamin E.. 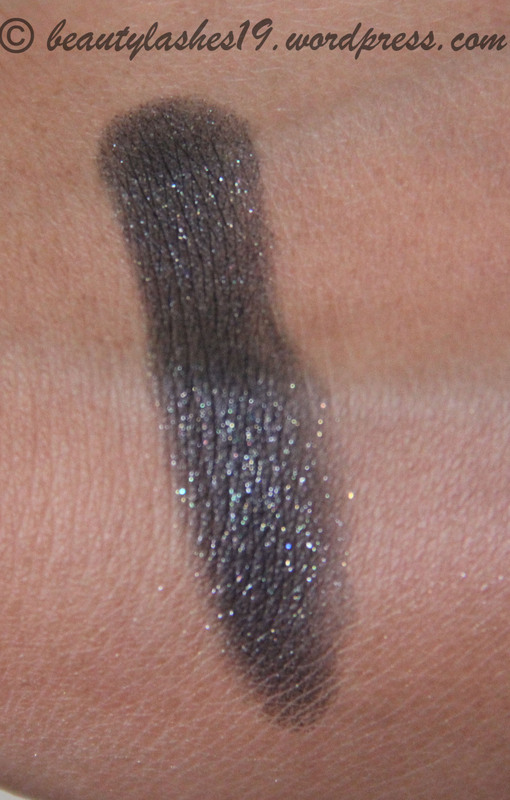 The shade itself is quite pretty but unfortunately, this is the most notorious of all cream shadows I have tried.. these are sooo smooth that they crease almost immediately and do not last even for a few hours.. 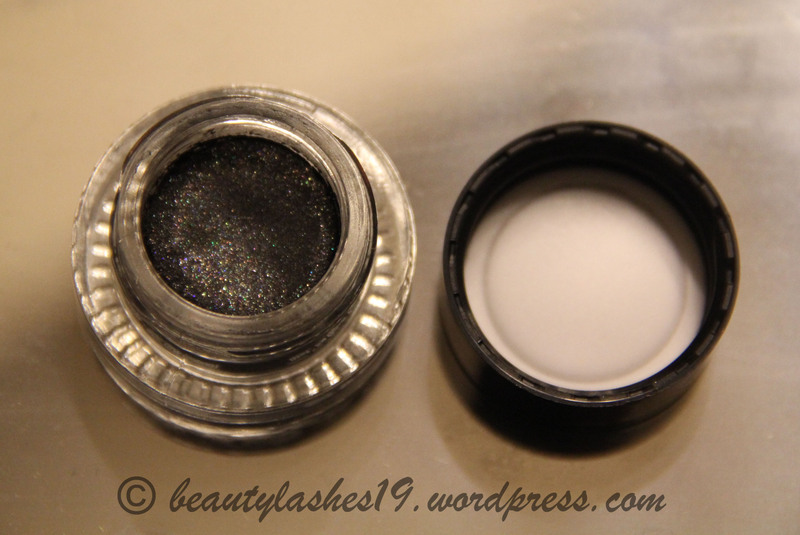 I wish these could work especially because of the cute names but unless Buxom changes the formula, these are not going to work on oily eyelids..